AdBlue™ is designed to reduce Nitrogen Oxide emissions, and as a result, help to protect the environment. 1. 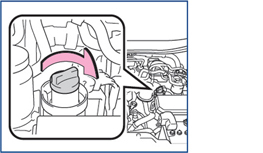 Ensure the vehicle is parked on a level surface, turn the engine switch off, then open the hood. 2. 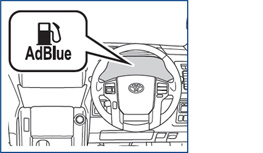 Open the AdBlue™ tank cap. 3. 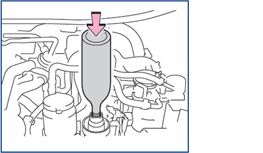 Insert a bottle of AdBlue™ and fully tighten it. 4. Push down on the bottle. AdBlue™ will begin to refill. 5. 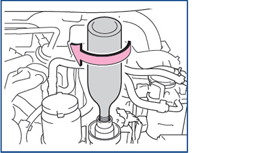 Check that no AdBlue™ remains in the bottle, and then remove it. 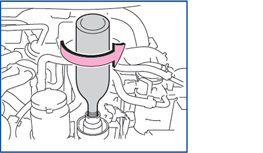 Repeat steps 3-5 until approximately 3.8L (4.0 qt, 3.3 lmp.qt.) or more of AdBlue™ have been refilled. 6. Close the AdBlue™ tank cap. 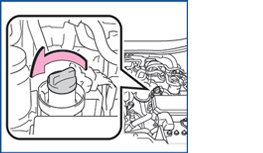 Turn the cap until you hear a click and check that the engine starts – this may take a few seconds longer than normal. Need further information about AdBlue™?